80 gallon electric hot water heater is common in larger homes in Palm Beach County. When these water heaters fail, you will find that finding a replacement 80 gallon water heater is almost impossible. The reason for that is the National Appliance Energy Conservation Act of 2015. Water heaters manufactured after April 16, 2015, must meet the new energy requirements. This law applies to electric and gas hot water heaters. The gas hot water heaters are still available because the makers could make changes to the tanks that brought them into compliance. The 60, 80. and 100 gallon tanks are not efficient enough to meet the new energy requirements. So what do you do if you have a large tank like a 60, 80 or 100 gallon electric hot water heater? If downsizing the amount of hot water available in your home is not an option then there are several ways to get the same amount of hot water and some that could save you money on your monthly electric bill. Below I will list several options that you may be presented with by plumbers who are quoting your water heater replacement. This is not a hybrid in the auto sense meaning part gas part electric. 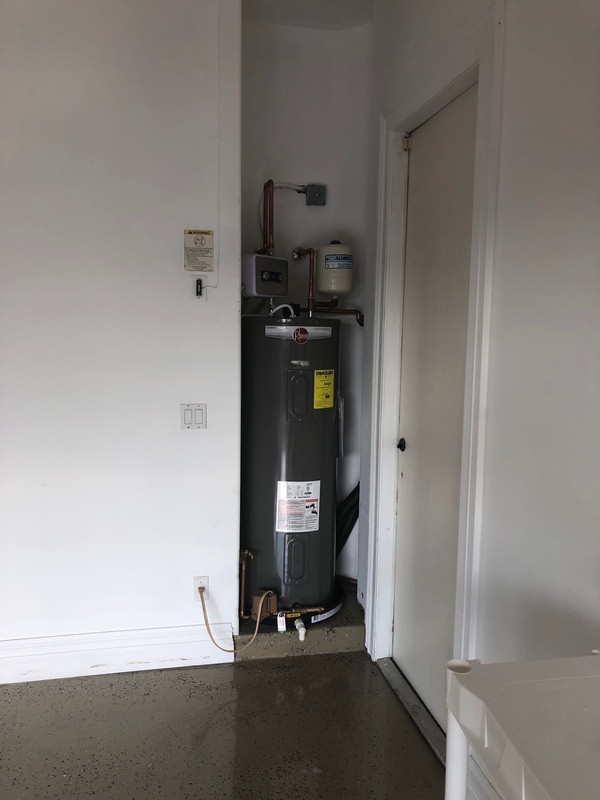 This is the hybrid between a heat pump and a traditional electric water heater tank. A heat pump uses the heat in the room to heat the water and it is boosted by a traditional water heater tank with a heating element. This is the most efficient option and it is perfect for South Florida. Your electrical costs will be as low as $100 per year operating the tank year round. This option has a standard 50 gallon electric tank that is boosted up to 80 gallons with a small tankless water heater. This option is less expensive initially than the hybrid but it will cost more per year to run depending on your usage. This option is perhaps the least expensive initially. We install a standard tank and then turn up the thermostat to high. The hot water is too hot for home use, but it is tempered by the mixing valve that allows only the right temperature water to your showers and faucets. This may increase your monthly bill because you are running the heater at a higher temperature. Many plumbers are installing a light commercial 80 gallon tank. This is very similar to your 80 gallon tank that is being replaced. This is kind of a loophole in the law. The drawbacks are that the tank is more expensive than residential tanks, the warranty is only for 1 year, and the installation goes against the spirit of the energy conservation law. This option is generally not used to replace and 80 gallon tank because of the amount of hot water needed in the home. If you are doing a complete remodel, then this may be an option and you could use multiple tankless heaters for each bathroom or area. If that is the case or if the home is new construction then this may be an option for you. In conclusion there is a new law as of 2015 and it does do away with residential 60, 75, and 80 gallon hot water heaters that are electric. There are many options, though, and some can save you greatly on your electric utility bill. Call us today to replace that old 80 Gallon Water Heater.